An adult who desires straight teeth may hesitate at the idea of filling his or her mouth with metal. Whether true or not, metal brackets and colorful bands are often associated with the awkward stage of adolescence between childhood and young adulthood. However, adults no longer need to choose between crooked teeth or metal brackets. They can have the best of both worlds using invisible aligners to attain a straight smile. But why should you choose invisible aligners and how do these aligners work? It is important to address issues such as an incorrect bite or crooked teeth. Not only will fixing them improve the look of your smile, but it will also promote better oral health. People with crooked teeth or bad bites are more likely to experience TMJ/TMD, chipped teeth, tooth decay, and more. Talk to your Dentist or Orthodontist - Invisible aligners aren’t right for everyone, but your oral care provider can determine if you’re a good candidate for treatment. A Customized Treatment Plan is Created - Your orthodontist will map out a precise treatment plan for you based on x-rays, pictures, and impressions taken of your teeth. Your orthodontist can show you a virtual representation of how your teeth will move with each stage of treatment. Receive Your Custom Aligners - Your treatment plan will be sent to a lab where a custom aligner will be created for every two weeks you require treatment. Once you receive the aligners, your orthodontist can teach you how to wear them and keep them clean. For best results, aligners should be worn 20-22 hours per day, only removed for meals, brushing, and flossing. Change Your Aligner Every Two Weeks - Each aligner will shift your teeth slightly. After two weeks, your aligner will have shifted your teeth into its desired placement, and you will then move on to use a new aligner, which will again slightly shift your teeth. Using a new aligner every two weeks will keep you on track with your treatment plan. Celebrate Your New Smile - It’s that easy! Once all the aligners in the treatment plan have been used, your teeth will look straight and your bite will be correct. Your orthodontist may recommend wearing a retainer to retain the correction you’ve received. Invisible aligners can treat quite a few different cases and it’s never too late to pursue a straight smile, but aligners are not for everyone. Patients with severe crowding or bite issues may not be suitable candidates for invisible aligners. In addition, we only recommend this form of treatment for adults because the growing and evolving mouths of younger children often require more complex treatment. If you’re interested in improving your smile while avoiding metal in your mouth, take the first step and talk to your orthodontist about invisible aligners. If you’re in the Alpharetta, GA area, call us. 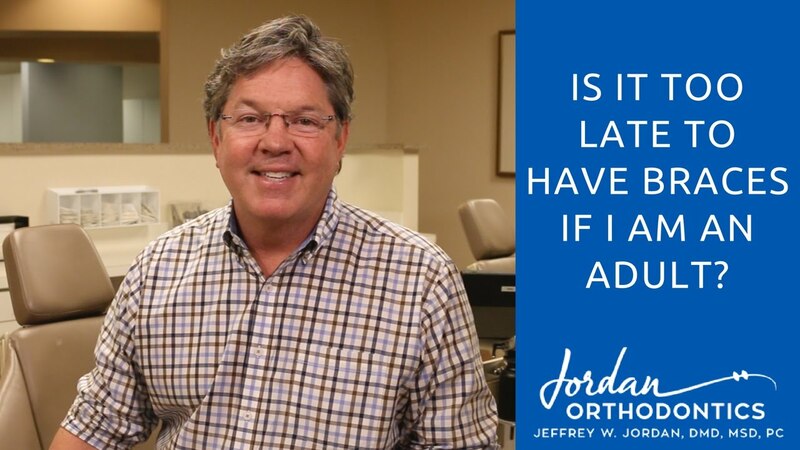 Dr. Jeffrey Jordan has been trained and certified to use Align Technology. Contact us to schedule your appointment. We’d love to help you achieve the smile you’ve always wanted.